Learn human anatomy through FORCE function. Continue your online art education with a specialized course on FORCE Anatomy. This series of figure drawing tutorials will teach you human anatomy from head to toe and from angle, including the front, side, and rear views of the human body. 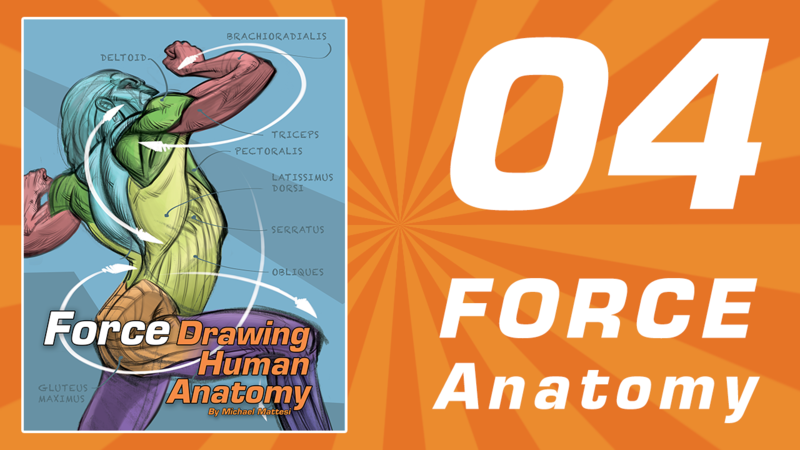 FORCE Drawing creator Mike Mattesi, will help you truly understand how the human body works, and you can replay these online drawing classes again and again as you practice. All you need to do is sign up for an online mentorship with Mike Mattesi himself or become a member of the FORCE Drawing community. Get started today and see how your drawing ability soars! Purchase the FORCE Foundation Bundle and save $30. Get four Videos Classes that cover everything you need to know to draw with FORCE! Get FORCE Basics, Form, Shape and Anatomy Video Classes!